Ryszard Legutko lived and suffered under communism for decades—and he fought with the Polish anti-communist movement to abolish it. Having lived for two decades under a liberal democracy, however, he has discovered that these two political systems have a lot more in common than one might think. They both stem from the same historical roots in early modernity, and accept similar presuppositions about history, society, religion, politics, culture, and human nature. 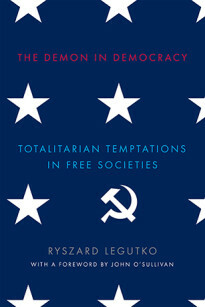 In The Demon in Democracy, Legutko explores the shared objectives between these two political systems, and explains how liberal democracy has over time lurched towards the same goals as communism, albeit without Soviet style brutality. Both systems, says Legutko, reduce human nature to that of the common man, who is led to believe himself liberated from the obligations of the past. Both the communist man and the liberal democratic man refuse to admit that there exists anything of value outside the political systems to which they pledged their loyalty. And both systems refuse to undertake any critical examination of their ideological prejudices. Ryszard Legutko is a professor of philosophy at Jagellonian University in Krakow, Poland, specializing in ancient philosophy and political theory. His most recent book is on the philosophy of Socrates. He has served as the Minister of Education, Secretary of State in the Chancellery of the late President Lech Kaczynski, and Deputy Speaker of the Senate and is active in the anti-communist movement in Poland. 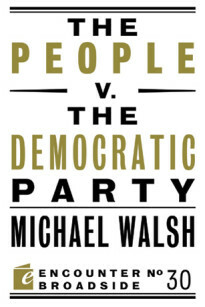 This remarkable book shatters just about every myth surrounding American government, the Constitution, and the Founding Fathers, and offers the clearest warning about the alarming rise of one-man rule in the age of Obama. Can the Ideals that Made America Great Provide a Model for the World? A collection of 10 essays that have appeared in The American Spectator over 2008. Authors include James Q. Wilson, Norman Podhoretz, Andrew Roberts, Victor Davis Hanson, James Kurth, Lawrence E. Harrison, Daniel Johnson, Fouad Ajami, Natan Sharansky, and Micahel Novak. Since the day Aaron Burr, the sitting vice president of the United States, shot and killed Alexander Hamilton, one of the Founding Fathers, the Democratic Party has been at war with America. With a history that includes murder, treason, slavery, segregation, sedition, bribery, and systemic vote theft, it can argued that the Democrats are, at root, the anti-American party. In the aftermath of World War II, America stood alone as the world’s premier military power. Yet its martial confidence contrasted vividly with its sense of cultural inferiority. Ryszard Legutko lived and suffered under communism for decades — and he fought alongside the Polish anti-communist movement to abolish it. But, having lived for two decades under a liberal democracy, he has discovered that these two political systems have a lot more in common than one might think. The promise of America is that, with ambition and hard work, anyone can rise to the top. But now the promise has been broken, and we’ve become an aristocracy where rich parents raise rich kids and poor parents raise poor kids.